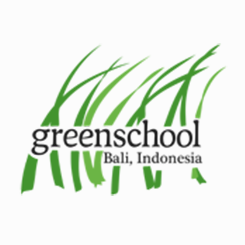 John Hardy, founder of the ‘Green School’ in Bali, established the school in the belief that ‘We need to teach our children that our world is not indestructible’. Green School, therefore, teaches its pupils to appreciate nature and to preserve the natural environment. A bamboo building stands at the heart of Green School; the building has no walls and it is surrounded by nature. However, if the children do need to protect themselves from the weather, they put up what the school calls ‘bubbles’ made of cotton. Alongside the usual school programs, which enable the children to gain entry into higher-level schools, the pupils also learn aspects such as how to grow vegetables or rice, and how to build houses from bamboo. In fact, the school’s system is entirely dedicated to the issue of sustainability. As such, water-based toilets have been replaced with compost toilets, and the school generates its own electricity through an innovative turbine system. Many of the materials used in the school are made by the students and teachers themselves from natural or recycled materials. There are animals living on the premises, and they are also regarded as members of the school. Green School has adopted the idea that education involves a focus on the whole person: the body, mind, emotion and spirit. Pupils from 24 different countries currently attend Green School. An entire ‘green village’ with ‘green restaurants’ and similarly built houses, and even ‘green companies’ is currently establishing itself around the school. One of the leading ideas of the people who run the school is to find regional solutions to problems and challenges.